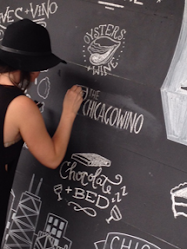 Why is wine so much fun? No, it’s not the euphoric feeling I may get from the alcohol in the wine. There are many reasons but I guess I just love the whole experience that comes with it. Part of that experience is sharing it with people. Some of my best times have been meeting up with someone to have a glass. I stumbled upon a fellow wino, Sam Klingberg (The Broke Wino) - a very interesting character but perhaps a whole other article. Given the fact that we are both bloggers we decided to join forces to sample a couple of bottles. 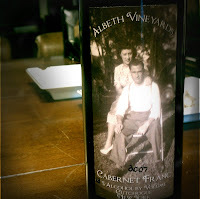 I brought a Cabernet Franc and he contributed a Cabernet Sauvignon. 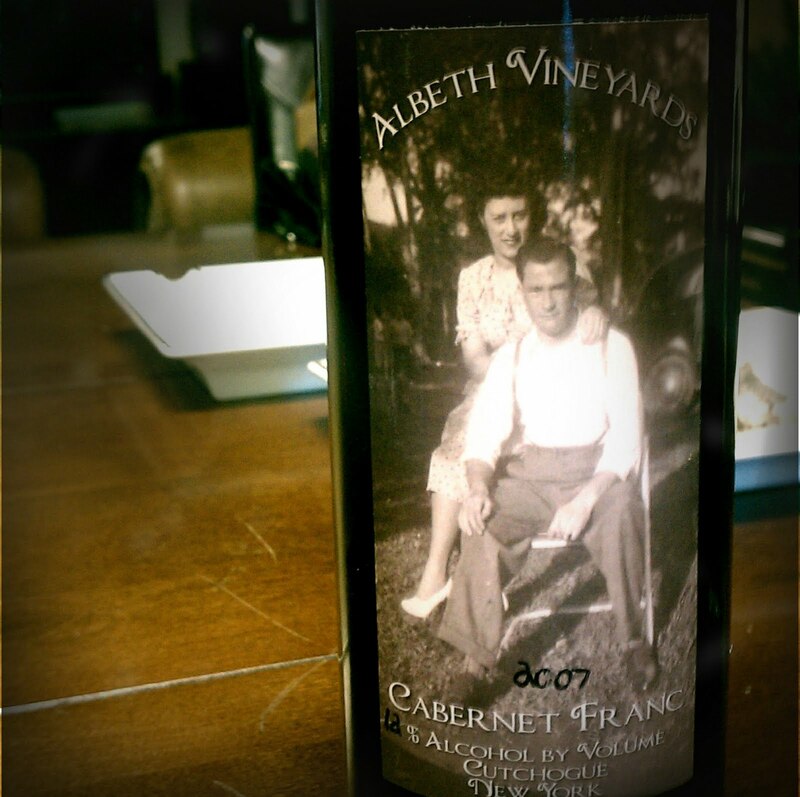 We started with an Albeth Vineyards Cabernet Franc, 2007 from Cutchogue, New York. Looking at the glass of wine it was a lighter ruby color. At first sniff there was a hint of iodine (nothing offensive) followed by strawberries and other light red fruits. It continued with an attractive floral and slight oak aroma. On the palate I tasted raspberries, chocolate, and other red fruits. This was a more delicate Cabernet Franc than I’m used to but I am assuming it is because of New York’s weather conditions. This was a very pleasant wine and could be enjoyed on its own and easily with poultry meals. 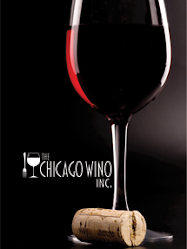 They are not licensed to sell the wine as of yet, but they do offer a membership where the members receive a certain amount of wine each year for cash donations to help run and cover the costs. 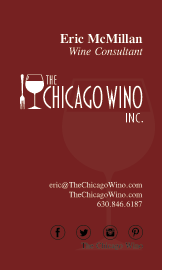 You can contact them at albeth.vineyards@gmail.com. Cabernet Franc and Sauvignon Blanc are genetically the parents of Cabernet Sauvignon. 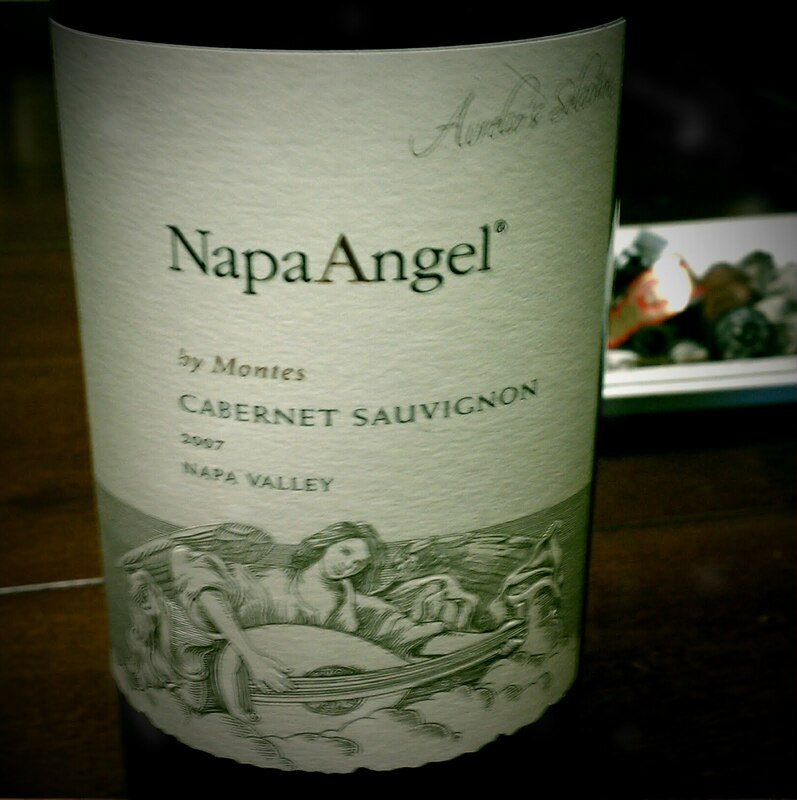 That said we followed this bottle with a Napa Angel Cabernet Sauvignon, 2007 by Montes. 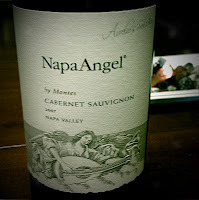 Napa Angel 2007 is 90% Cabernet Sauvignon from Coombsville and 10% Syrah from the Knights Valley in Napa. The color was deep and rich, as my Dad would say - “crow’s blood” On the nose it was velvety with strong black fruits that reaches out and grabs you! The rich black fruits carry through on the tongue with great balance - chewy and bold. You can definitely taste the tannins on the back end but that will soften up over time. This was a serious wine! They suggest you to cellar it for at least 10 years but can be enjoyed now. Make sure you decanter this for an hour and serve at cellar temperature, 62˚ to 65˚ F. With a price tag of $55 it may scare you away. Don’t let it – a bottle like this is the reason why I fell in love with wine in the first place! So with 2 very good bottles down and some great laughs shared. Sam and I decided we will be doing this again soon…So grab these bottles and invite a friend over and do some sharing yourself! Nice toast. Always partial to "Sláinte"...reminds me of good times.